This has been one of the busiest winters I’ve ever had. Usually most of my weddings are in the summer or I have a lot in October. This year, I had several weddings November through January. For one weekend, I actually got to photograph two weddings! The first wedding was Bianca and Tacker, which you might remember from their engagement session. It was a beautiful wedding at the Barn at the Springs with so many wonderful memories. I’ve known the Montes family for quite some time now. I played football and coached with Bianca’s uncle John. I knew her sister from Woodland and even photographer her quinceañera. Of course, I’ve also been going to all of their Mexican restaurants throughout Northwest Arkansas since I was in about 9th grade. I was beyond excited when I talked to Bianca about photographing her wedding. Bianca and Tacker’s wedding was at the Barn at the Springs, which is just a wonderful wedding venue. It was a November wedding, but the weather was pretty nice. They had the ceremony outdoors, and it was lovely. The sun was setting behind them as it happened. Another interesting thing about the ceremony was it was bilingual. They would say it in English and then another person would repeat it in Spanish. This was a great way to make sure everyone enjoyed the ceremony. I had fun the entire day. Tacker and his guys were extremely goofy. There were lots of laughs and interactions. The girls were all full of laughs and hugs. There was some crazy dancing as the night got later and then the smokiest sparkler exit I’ve ever seen. 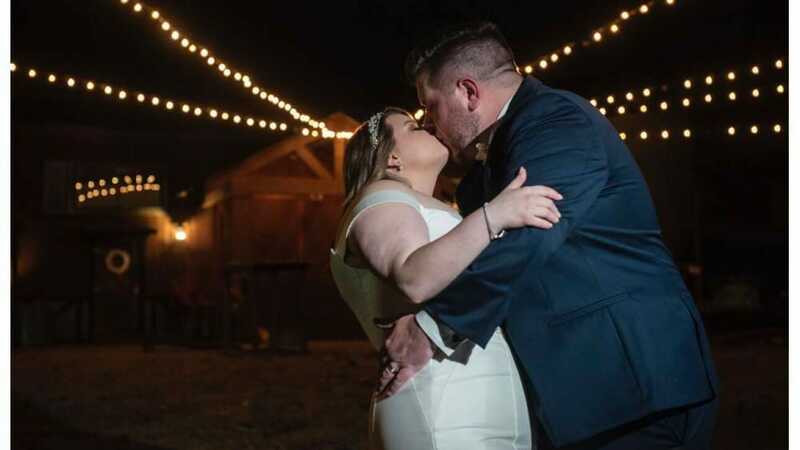 I know these two were going to have an amazing wedding at the Barn at the Springs, and they didn’t disappoint. Everything was beautifully decorated and handled by The Wedding Lady, and so many family and friends came out to support them. It might be awhile until another one of the Montes family gets married, but I really hope I get to hang out with them again!